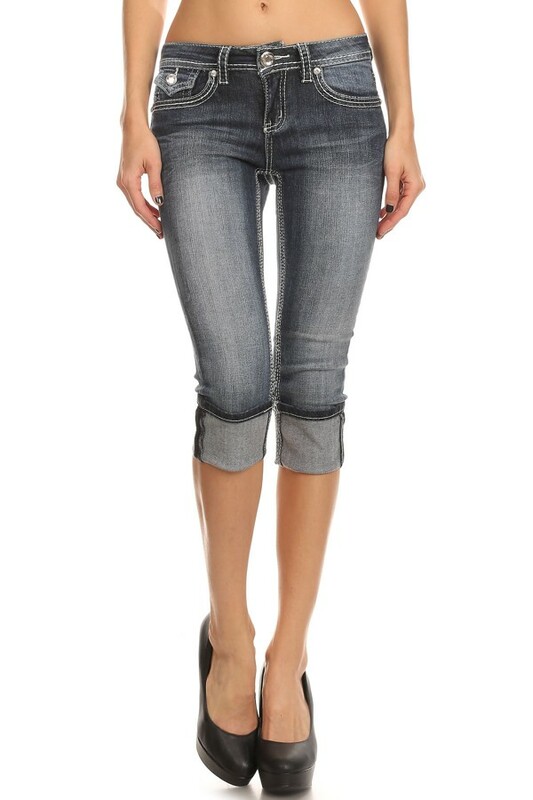 Medium wash capris featuring angel wing pattern on back pockets. 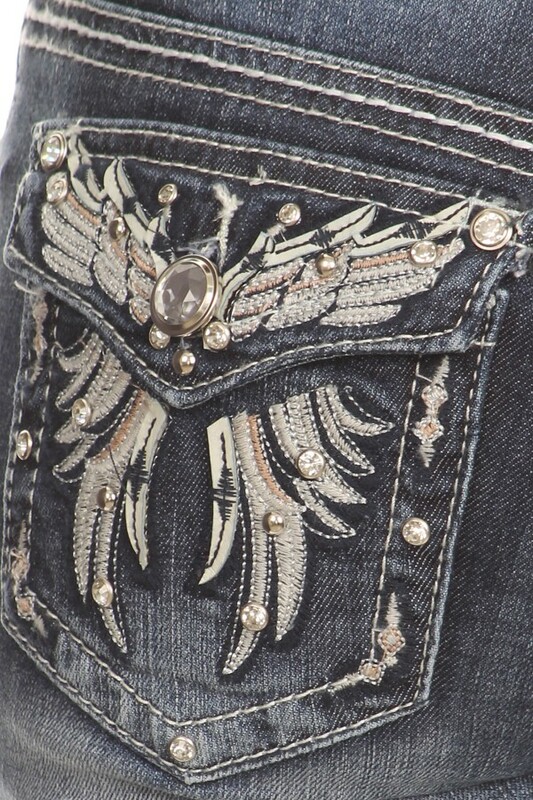 Also featuring crystals and studs on front and back pockets. 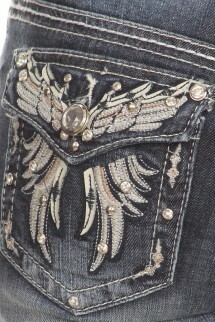 Folded cuff to adjust length.